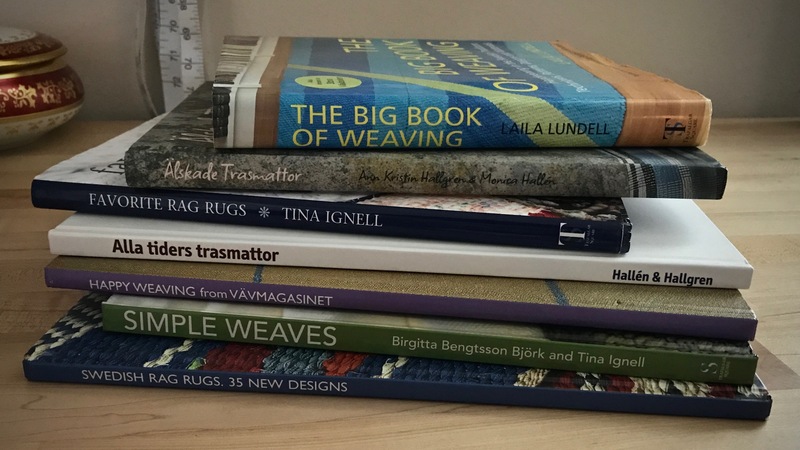 Here are just a few of my favorite weaving books, and a sampling of what they have produced. Favored weaving books, in no particular order. Do you see a theme? 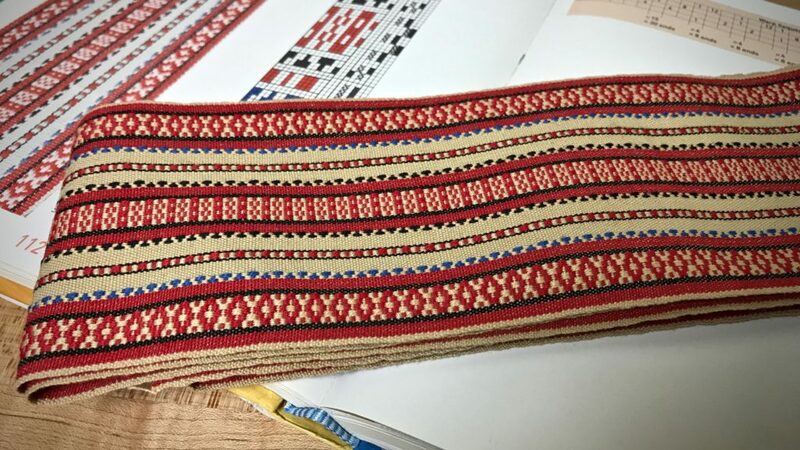 Yes, I like to weave Swedish patterns from Swedish books on my Swedish Glimåkra looms. Rosepath band with turned rosepath. Lundell, Laila, and Elisabeth Windesjö. “The Big Book of Weaving: Handweaving in the Swedish Tradition: Techniques, Patterns, Designs, and Materials.” North Pomfret, VT: Trafalgar Square, 2008. 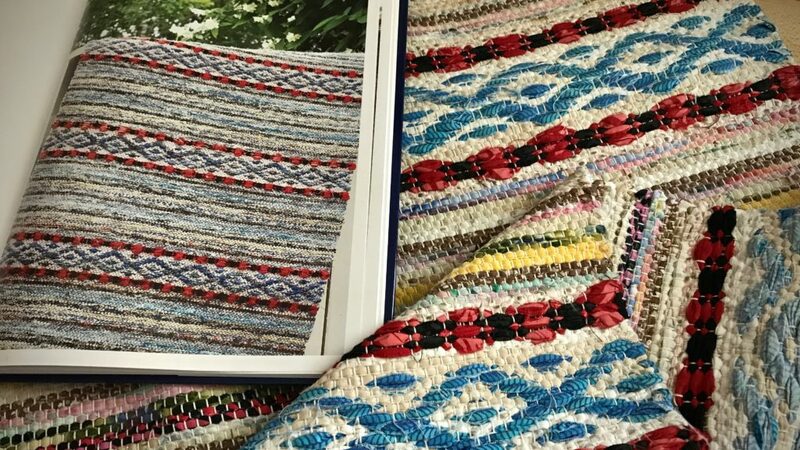 My version of this rosepath rag rug makes itself at home in our Texas hill country getaway. Rosepath rag rug. My very first rosepath rag rug is positioned in a prominent place in our home where it is seen and stepped on every day. Much to my delight. Ignell, Tina, and Catherine Zienko. 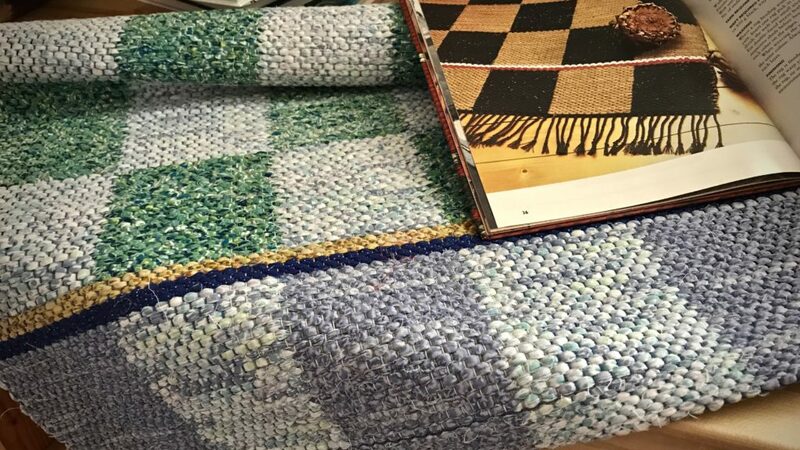 “Favorite Rag Rugs: 45 Inspiring Weave Designs.” North Pomfret, VT: Trafalgar Square Books, 2007. 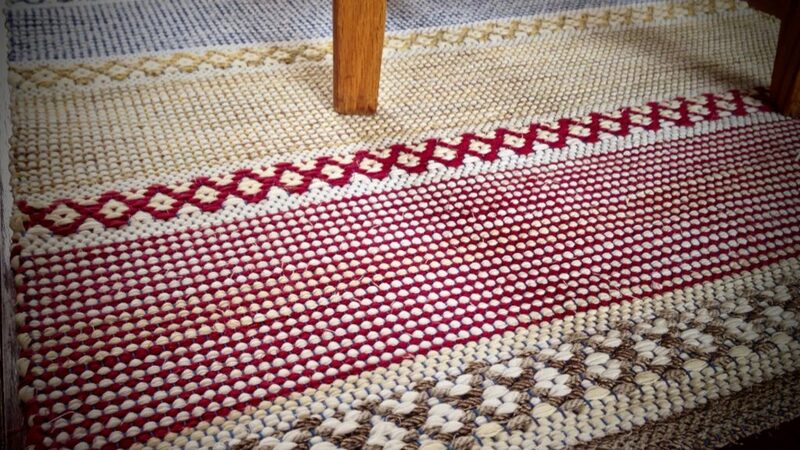 Another rosepath rag rug. No end to rosepath rag rug possibilities, it seems. Rosepath rag rug uses alternating weft colors in the plain weave sections, adding visual texture. Johansson, Lillemor, Charlotta Bosson, Conny Bernhardsson, and Katie Zienko. “Happy Weaving from Vävmagasinet.” Glimåkra: Vävhästen, 2004. Cottolin twill towels. I have a small sample piece. All the towels I wove are happily drying hands and dishes in homes of family and friends. Björk, Birgitta Bengtsson, Tina Ignell, and Bengt Arne Ignell. “Simple Weaves: over 30 Classic Patterns and Fresh New Styles.” North Pomfret, VT: Trafalgar Square, 2012. 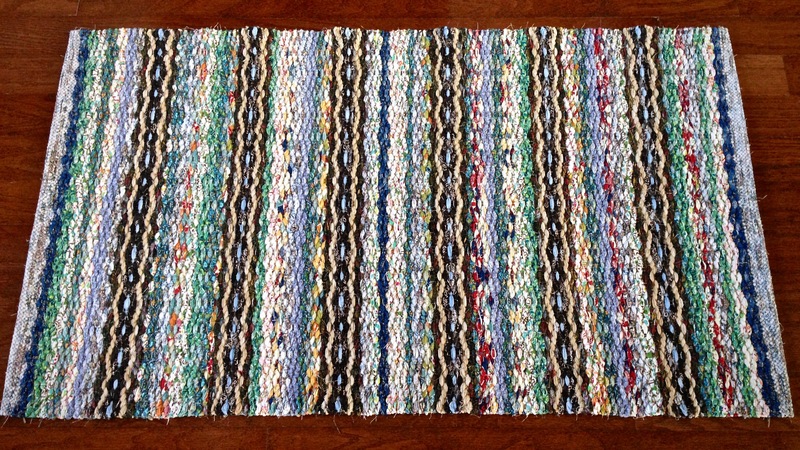 Double binding rag rug. This sweet rug is resting in my Etsy shop, waiting for a new home. Johansson, Lillemor, Pia Wedderien, Marie Rolander, Conny Bernhardsson, and Katie Zienko. 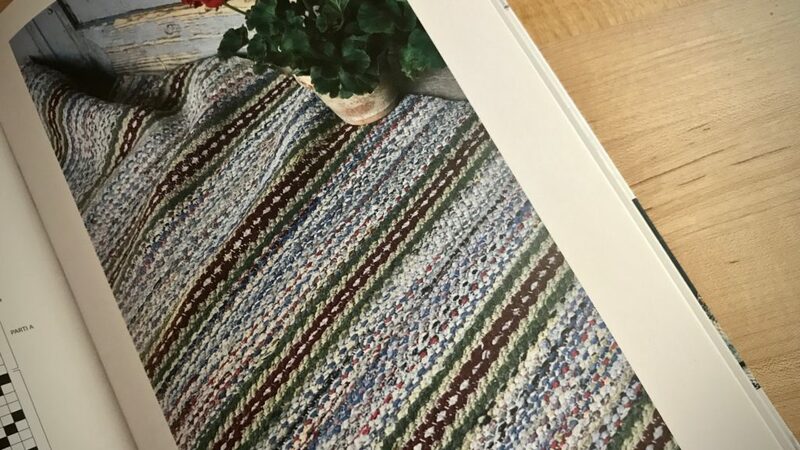 “Swedish Rag Rugs: 35 New Designs.” Glimåkra: Vävhästen, 1995. May you play as much music as you can find. …and speaking of Etsy! 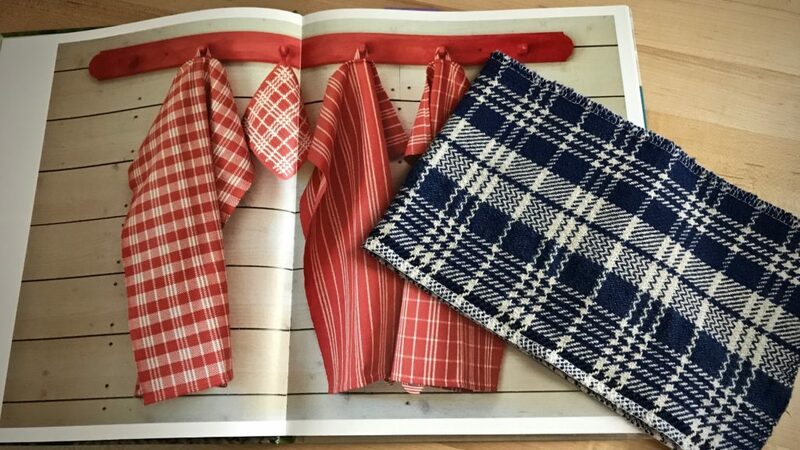 The original River Stripe Towels and Table Centerpiece Cloth that I wove are now listed in the Warped for Good Etsy Shop. And there may still be one River Stripe Towel Set Pre-Wound Warp Instructional Kit (Workshop in a Box) left! UPDATE: THE KIT HAS BEEN SOLD. 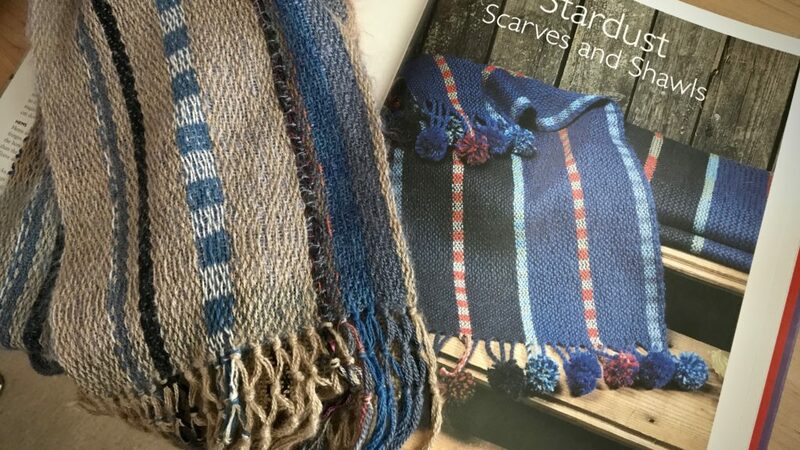 You are an inspiration to those who are not able attend weaving courses in Sweden, but successfully forge ahead experimenting guided by the skillfully written and illustrated Swedish weaving texts, using high quality, oftentimes fine gauge imported yarn of natural materials. Keep weaving and inspiring others with your blog! “Blekinges sommarfågel,” The skillfully written and illustrated Swedish weaving texts open up a world of possibilities. I love to take a stack of the books and thumb through the pages, just to dream of what I might weave someday. Thank you for sending such encouraging words! 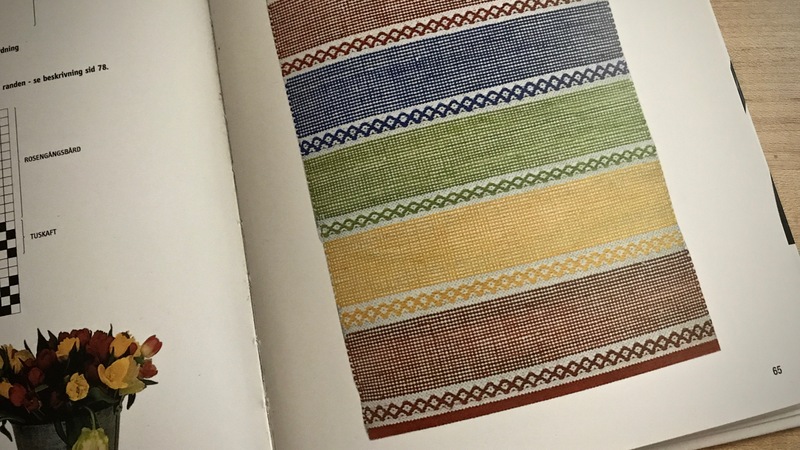 I’ve lately been thinking about weaving as I think about cooking, and weaving book as I think about cook books. Books are inspiration. Thank you for sharing, and thank you for YOUR endless inspiration. Hi Kim, Great analogy! And I agree, books are inspiration on so many levels.